Dedicated Minecraft players will say that building with its virtual blocks is already an art, but now Britsh art gallery owner Tate is bringing real artworks into the Minecraft world. Tate teamed up with Minecraft mapmakers to create "Tate Worlds," virtual 3D worlds based on famous artworks from its collection (see slideshow). 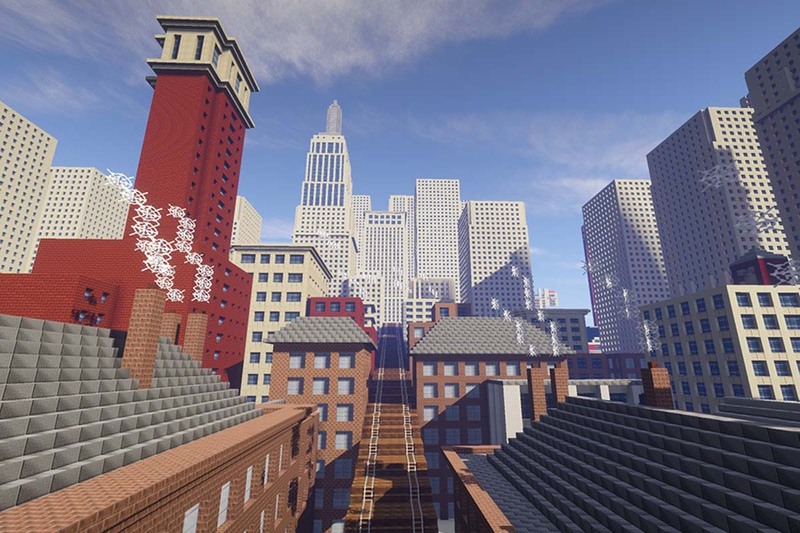 The first two -- available for Minecraft players to download starting Nov. 24 -- are inspired by cities: Andre Derain's 1906 painting "The Pool of London," and Christopher Nevinson's futurist 1920 work "New York, Soul of the Soulless City." The idea is that gamers can explore the virtual worlds with challenges related to their environment. For example, a gamer can build a skyscraper in New York, or descend into a river in London to search for the pigments Derain used in his paintings. Six more artworks will be released in 2015 with the themes "Play", "Destruction" and "Fantasy," including John Singer Sargent's "Carnation, Lily, Lily, Rose," and Peter Blake's "The Toy Shop." Jane Burton, Tate's creative director, said in a statement: "Minecraft is a wonderful game which embraces imagination and creativity. It has captivated millions of children and young people across the world. In playfully reimagining art in Tate Worlds for Minecraft we hope to introduce a new generation to inspirational works from Tate's collection."